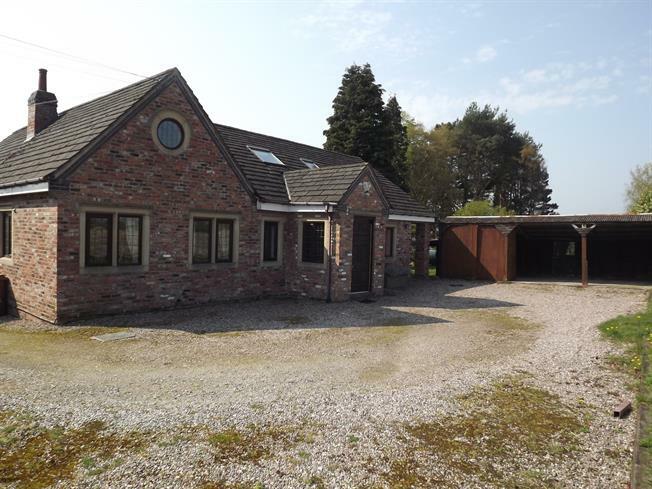 4 Bedroom Detached House For Sale in Congleton for Offers in the region of £495,000. Further afield there are the popular towns of Alderley Edge, Knutsford and Congleton all within easy reach and all providing an excellent range of shops, schools, recreational facilities and an outstanding range of restaurants . The property comprises of lounge, dining room, kitchen family room/ bedroom and further bedroom with en-suite and WC. To the first floor there are two bedrooms and family bathroom. Outside the property there is a good sized garden and double carport and garage. Chain free with viewing a must to appreciate this home.